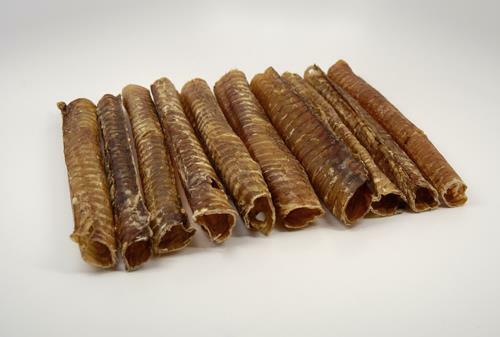 12" Beef Trachea are a hollow chew which are perfect for large and small dogs. They are 100% digestible and high in both chondroitin and glucosamine. Like in humans, these supplements have been shown to help promote healthy joints in dogs. They are a great choice for an all-natural chew with no additives.